Numbered from the edition of 999. These works are in excellent condition. American Artist Jeff Koons (York, Pennsylvania 1955 - ) is internationally acclaimed for his ‘pop’ sculptures that elevate ordinary objects to artistic pieces designed to engage a broad range of viewers and, often, comment on American culture. Buoyed by the success of his iconic ‘Celebration’ series of monumental sculptures, Koons created a smaller series of Balloon Swan, Balloon Rabbit and Balloon Monkey. This limited edition work masterfully transforms each object to emulate the flawless and voluptuous appearance of an inflated ballon, twisted by unseen hands into a playful animal. Each piece features a different but equally radiant color to enhance the drama of the piece and help convey a multitude of impressions of wealth, success, optimism and happiness. The highly polished surfaces also reflect the viewer and the immediate surroundings, making both an integral part of the art. Typical of Koons’ work, the series succeeds in captivating children while intriguing adults with its beauty and symbolism. As such, it fulfills Koons’ long-standing desire to reach as broad an audience as possible with his art. Echoing his early days of creating sculptures from inflatable plastic toys, the series also makes a statement about American culture and the role of art in this culture. Selecting ordinary, even mundane, images from American culture, Koons elevates them to artistic status, blurring the lines between art, commerce, banality and pleasure. Under his artistic eye, the swan, rabbit and monkey are transformed into art icons that draw in the viewers, trigger childhood memories, and encourage viewers to fully engage in his art through their senses and their intellect. This series exemplifies Koons’ fascination with high culture, mass culture and mass production and successfully fuses icons from these realms into contemporary pop art. The series also marks a new chapter in the Koons’ oeuvre, becoming one of his most celebrated and highly sought- after series. 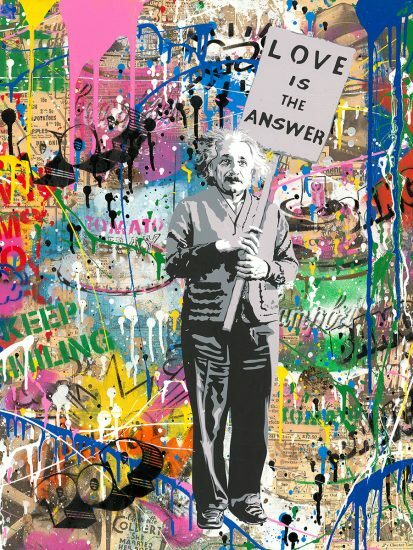 This spectacular achievement furthers his standing as one of the most influential post-war artists of our time. 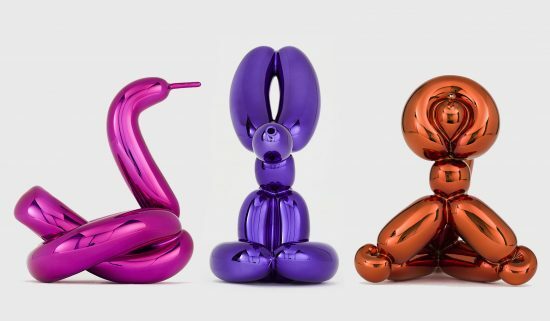 Created in 2019, these porcelain sculptures with chromatic coating are the latest release by Jeff Koons in his renowned balloon animal series. 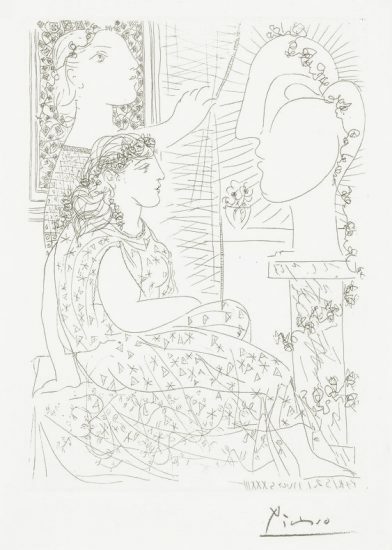 These works are signed by Jeff Koons (York, 1955 - ) and numbered from the edition of 999. Jeff Koons Balloon Swan, Rabbit, and Monkey, 2019 are fully documented and referenced in the below catalogue raisonnés and texts (copies will be enclosed as added documentation with the invoices that will accompany the sale of the work). 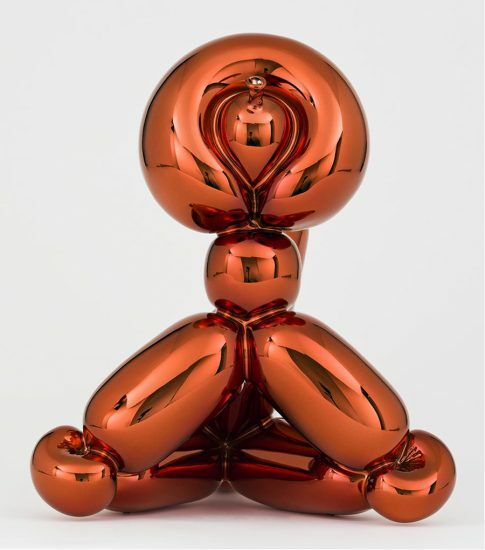 Jeff Koons is renowned for his monumental sculptures of polished metal balloon animals, exploring themes of pop culture, banality, fine art, and commonplace objects. Sell your Jeff Koons fine art with us. We offer free evaluations.